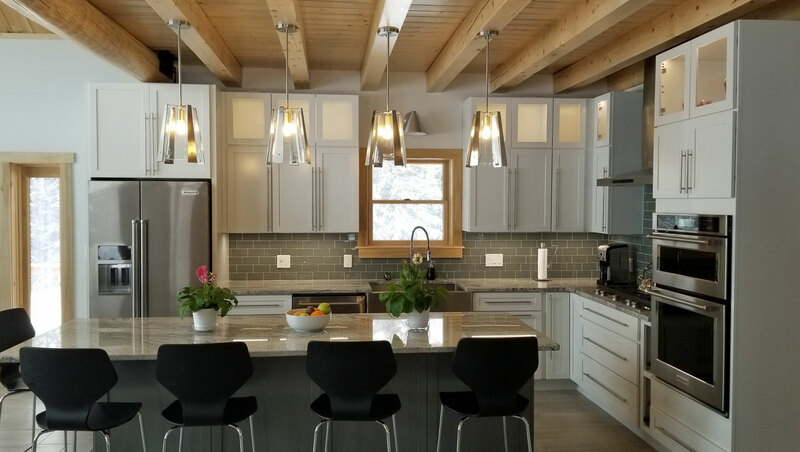 For over 95 years Ward Cedar Log Homes has been using Northern White Cedar and offers many features and design options for you to choose from, whether you are building a log home, a small cabin kit, hybrid or timber home. You’ll feel confident knowing that every Ward home has been designed and engineered over the years to achieve lasting beauty and strength. Our commitment is to design a home that reflects your personal tastes and make it as unique as your individual signature. By concentrating on craftsmanship and superior materials we create a home or cabin that enhances your life and long lasting value. Along with the superior customer service you’ll receive, we offer standard floor plans that you may modify or design your own home today and let our past become your future. Make it your own - You have the freedom to customize any of our plans to fill your needs. 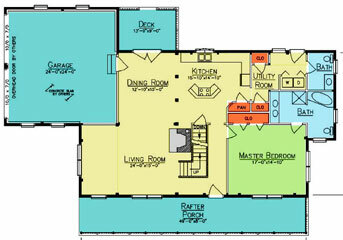 Move a wall or change the size, work with our team to make your home design unique to you. Or go completely custom. Choose between full log, hybrid, clapboard or timber home. Energy Efficient - Our log homes and cabin kits are built using Northern White Cedar, one of nature's best woods and R-value, saving you on heating/cooling cost and known for being insect resistant. Lower Maintenance - Cedar is more resistant to rot, aging and insects. Leaving you time for everything else. Quality construction - Ensuring you a tighter, lasting fit, protecting you from the outside elements. Caulking the exterior of your home assures you that your investment is sealed from Mother Nature allowing no air or water infiltration and the peace of mind that you can see for yourself. Learn the importance of how log homes are constructed. More pre-cutting - The logs, purlins, and rough bucks for windows and doors in your home come pre-cut and numbered, giving you a precise fit and saving you on labor costs. Learn more about our materials package. Experience - 96 years providing families with quality log homes. Not only have we been around for years, we will still be around long after your home has been built, providing you with advice and support. Ready To Dream? 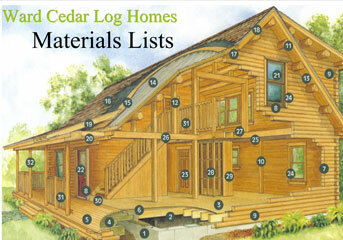 - Find your inspiration to start imagining your dream log home today. What's in a Package? - Every company is different in what is supplied in a log home. Ward has one of the most complete materials package. Ready to Build? 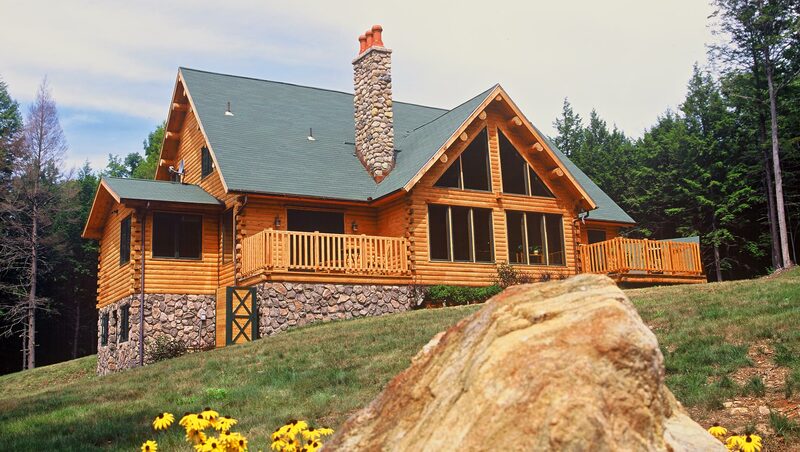 - Search from one of our plans or have us bring your ideas to life with a custom log home. Bob & Lillian, HaddoN Heights, N.J.
A company should always put the customer first. After all you are entrusting them with one of the largest investments in your life. 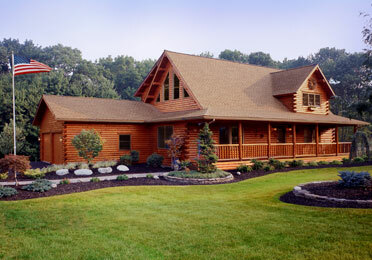 At Ward Cedar Log Homes you should expect nothing less than a quality home and the best possible service. We are with you through the entire process, even after your home is delivered, making sure no small detail goes unnoticed.